Badges are handed out and coffee is available at the foyer areas. The lunch buffet is available at hall X2. The Digital economy is the culmination of the explosion of consumer connectivity: half the world's population is online, a third can be found on a social network and 53% are mobile. This young, dynamic, $3 trillion system based on technological infrastructure has changed the rules of doing business. The digital revolution has transformed the time we live in and will continue to do so. All these changes lead or will lead to a profound transformation of society and the economy. The session will present and discuss the results of a study presenting the main challenges and opportunities at the intersection of “Economy and Environment”. It will focus on the challenges that derive from the economy-environment-interaction with respect to the goal of a socio-ecological transformation towards sustainable development. Therefore, macro perspectives will be contrasted with entrepreneurial and consumer perspectives. Short thematic inputs will feed into a group discussion, which will lead into an elaboration of open issues for research as well as policy intervention. In this participatory format diverse high-Level stakeholders from politics, business, civil Society, science and creative industries will hold a dialogue with conference participants. In small groups the participants will tackle one of the following challenges we face: Climate Action, Circular Economy, Digitalisation, Inclusive Society, Media, Sustainable Financing. Each group will through guided questions get to know each other, map the challenges in the field, understand what solutions are already out there and then decide on needed next actions. Additionally we will prototype collaboration between diverse stakeholders for a common challenge. This session emphasizes the necessity of a transformation in the knowledge system. If science and higher education are to contribute to a socio-ecological transformation and to reaching the SDGs, a paradigm shift in higher education and science is required. We start from a keynote by Arjen Wals and the outcomes of the Science in Transition Conference (Nov. 13, 2018) and discuss them in an interactive setting: How should the university of the future look like? How do we get there? Which obstacles must be overcome? Future without Natural Areas? Zukunft ohne Naturräume? This session, hosted by B.A.U.M.-Austria (an independent environmental initiative and network of entrepreneurs www.baumaustria.at), will focus on SDG 15, Life on Land. Introductory notes will highlight the current best practices for the sustainable use and protection of natural areas and evaluate chances for advancements. Afterwards, diverse stakeholders will discuss these approaches with regard to their sustainability and articulate necessary need for action. Finally, the importance of natural areas for young people in the face of cyberspace and augmented reality will be discussed. This session will focus on the structural Framework and individual readiness required to support the development of sustainable projects worldwide: Part 1 - Panel discussion "how to develop sustainable infrastructure projects." In our discussion we will look for an answer, how Europe´s Intention to contribute to positive change in accordance with SDGs can be translated into actual projects and sustainable development worldwide. Part 2 - Hands-on Session:"The Majority is not Enough" Here we will individually experience where people matter by working on three simple questions about real-world challenges. "green" or "brown" investments - another bubble in the making? Do investors believe in “green” or “brown” growth? Do they foresee sustainable development or more of the same in terms of resource overconsumption and climate change? If financial markets are right reflecting investors’ predictions about the economic future, the 2015 Paris climate agreement is not worth the paper it’s written on. Yet, if they are wrong, the burst of a brown investment bubble might trigger a new financial crisis. To square the circle, “green” investments must move mainstream. What are investors still waiting for? And: can finance be “green” at all? Economists and practitioners will try to give answers to these questions. At the Peak of Social Change! Change towards sustainability will only succeed, if we manage to reconfigure established daily practices. Fortunately, initiatives exist from which we can learn how to further sustainable transformation. The workshop brings together storytellers from different professional fields to share their stories on achieving change. The setting (collective story harvest) stimulates a thorough analysis of different approaches to change, possible stumbling blocks and measures to overcome such hurdles. Flag workshop run by Wolfgang Weinlich, in collaboration with artists Emmerich Weissenberger and Nora Ruzsics (ArtEmbassy). Transformation into a joint work of art- creating commin holistic social structures. Living in dignity is fundamental for all human beings. Which common human quality is needed to deal with this topics? Messages inspired by 7 lectures of the conference appear on individual areas of the fabric of the flag. These messages can be retraced, expanded, reworked, overpainted or associated with the objects, materials and tools on the tables provided. The flag will be raised the next day and will be used after the conference concludes for a number of sustainably printed art book covers, to continue with the artistic and reflected Messages produced at this conference. We pass your and our Messages on and so become ambassadors for sustainability. Coffee and drinks are available at the foyer areas. In this session we will focus on the difference between the media logic and the necessities for transformation. How is media – or different media channels – dealing with sustainability issues and in what form? Is/Could there be a transformational logic/intention behind coverage? What seems interesting to the audience? What do media need in order to be interested in sustainability issues? Are there differences between European countries, various channels, broadsheet or yellow journalism? And how can sustainability issues be communicated to catch attention of media practitioners? "No climate stability without resource efficiency"
"The resource -climate nexus: Tracking global resource use and emissions"
"Synergies between decarbonisation, resource decoupling and prosperity in Europe - recent findings from the MeetPASS project"
"How can resource efficiency contribute to meet UK carbon budgets"
International reports and political programmes are more and more emphasizing the likely contribution of resource efficiency to climate protection in general and in particular to the achievement of the goals of the Paris Agreement. Nonetheless there are only few studies investigating this correlation on an economy wide scale. According to the UN International Resource Panel a positive correlation between climate and resource policies can be assumed. This means that an ambitious climate policy comes along with a significant decline in resource use and at the same time with positive effects on the economy (http://www.resourcepanel.org/reports/resource-efficiency). In this breakout session we will talk about this assumed relationship between climate and resource policies. European and international studies on this topic are going to be presented (UN International Resource Panel, G20, Germany, UK, Austria) and discussed. Cases of conclusive and convincing eco-innovative projects have been selected. These innovation projects are clearly aimed at promoting sustainable development. They have either achieved market entry or established a significant social position. Thus we invited the founders of these start-up companies to explain their vision, to discuss initial venture capital financing, the risks and operational hurdles including their causes and how to overcome them, and to demonstrate the potential for profit as well as important success factors. As all of these projects represent success stories, they will motivate new innovators and incentivise further innovation. In an interactive setting, participants will be in close contact with the speakers. The term “transformation” has gained much traction in recent years addressing problems of unsustainability. Yet, the term is used ambiguously and key issues of unsustainability remain unsolved. The session will therefore discuss different understandings of social-ecological transformations as well as the role of transformation research within sciences and politics. It will address challenges that have to be faced when “growth in transition” is on the agenda of European societies. Since more than 15 years the Austrian environmental organisation GLOBAL 2000/Friends of the Earth Austria and REWE International AG have formed a unique partnership on pesticide reduction. In collaboration with the agricultural sector innovative methodology, alternative plant protection strategies and significant and consistent reduction of pesticide residues have been achieved. Solutions in areas where the necessity of change was common sense but implementation was lagging have been deployed. A partnership which can be considered as frontrunner on the issue of pesticide residues in conventional produce including transparency. Is collaboration along value chains a sustainable role model for future endeavors? What kind of framework is supportive of such partnerships? Aim of this session is to present an overview of initiatives in the European Union on different levels of possible Action - European Commission, Corporate, Private - to foster ecologically and socially sustainable investments. In this setting we want discuss supporting factors and barriers to greening the finance sector. The session explores options for effective implementation of the SDGs for different governance levels and stakeholder groups. Four input presentations will provide an EU-wide comparison of progress towards the SDGs, an overview of conditions for successful implementation at EU, national and local levels (with examples from Finland and Italy), and a critical view from civil society. A panel discussion with representatives from business, social partners and academia will then develop critical success factors for SDG implementation together with the audience. In public perception, decision makers are mainly men. But is it really mainly men who initiate change processes, drive them forward and lead them to success? Is there a difference between men and women in the approach, in the willingness to change? Are there success factors or obstacles that are more likely to affect men or women? Do men and women have different roles in change processes? This is what we want to work out in this interactive workshop, to which we explicitly welcome men and women. Five role models (women and men) from different areas of expertise related to sustainability will tell their personal stories of how they initiated and implemented change. Participants are invited to listen to these stories and explore common patterns and differences..
At 5.45pm the Business Award for the Environment (EBAE) will be presented by the European Commission at the very same place. 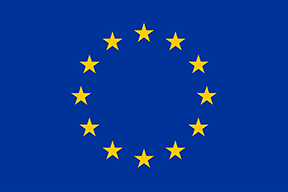 The European Business Awards for the Environment (EBAE) are a European Commission initiative, which recognises and celebrates European companies who are at the forefront of eco-innovation, or which have a respect for the environment at the very core of their business principles. On the evening of November 14, the Province of Lower Austria is hosting a Gala Dinner in the Palais Niederösterreich in Vienna. The event will be opened at 7:30 pm by the Austrian Minister of Sustainability and Tourism and the Regional Governor of the Lower Austrian Government.